School textbooks, mainstream media, voters, etc. remind us frequently that “government is a necessary evil”. This repetition of lie becomes a truth, during the process. Only anarchists are the ones who have unchained themselves from this matrix of servitude, whereas non-anarchists are impudently living the fictional life. Whenever anarchists “reason” with statists, I feel that they are administering medicine to dead people. In this whirlpool of illusion, truth is still out there. This truth is simple and precise. The truth is that “state” is a popular delusion. There is nothing called state, though it is said that state is the entity enjoying legal monopoly on force, violence and expropriation. Creating the illusion is easier than breaking it, today. For many decades, government was viewed in awe by “normal” modern citizens/slaves. 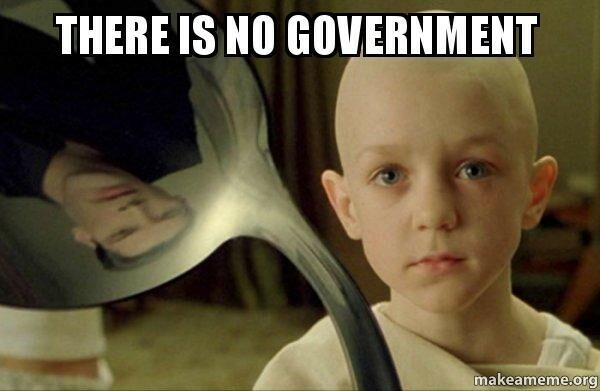 People are intentionally fed incoherent narratives; the public schools portray the government as a magnanimous machinery, and our lawmakers themselves portrayed the government as an all-powerful, all knowing entity that deserved the greatest possible admiration. 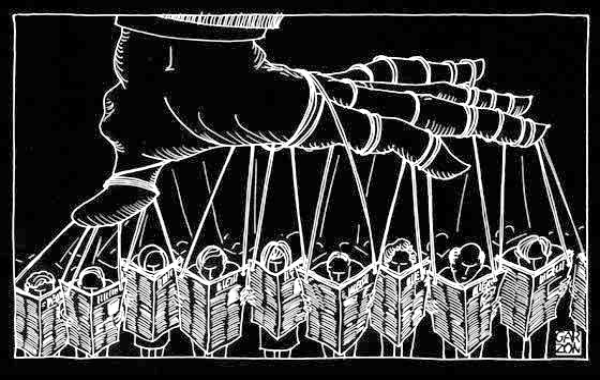 The perception of the “public” is responsible for proselytizing the biggest lie into an objective fact. The form of governments have changed over the course of human history. There have been fiefdoms, satraps, fascists, communists, republics, democracies, empires, and tribes. Different shapes, different sizes, but all with one idea in mind: the control of those under their authority. It has solidified a place in our consciousness that there is either government or chaos. 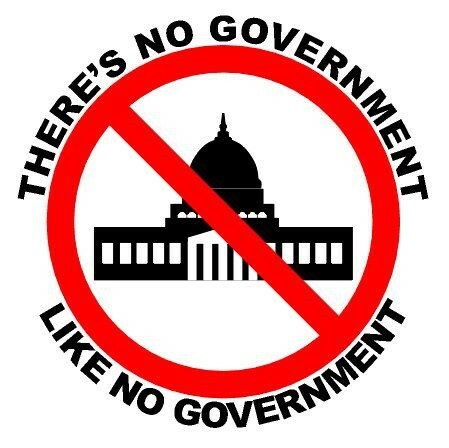 We bounce back and forth about what type of government we want but never about whether or not we NEED government. We simply buy into the idea that there is only varying degrees of control or anarchy. We have reached a stage where people don’t mind believing that “evil is necessary, or else who will govern the slaves?” Problem with such people is that they mix their feelings with “thinking” and walk extra miles to ensure that everyone is living within their fictional imagination. Rather than studying the politics of battlefield or vice-versa, I suggest my fellow non-anarchists to comprehend and decipher that mind is the battlefield of all our “politics”. We cannot fight the tyranny by redoing statism. We must first perceive that “state” is in our head. My article “Allopoiesis, And Government” makes sense, in this regard. the State does not factually enjoy a monopoly on violence. The missing component is an often overlooked, but all important adjective: legitimate. The State is a monopoly on “legitimate” violence, and legitimacy is the only thing distinguishing a tax collector from a pickpocket, a police officer from a vigilante, or a soldier from a paid murderer. Legitimacy is an illusion in the mind without which the State does not even exist.